A bestselling Canadian novel for young adults is now an animated feature film backed by Angelina Jolie. 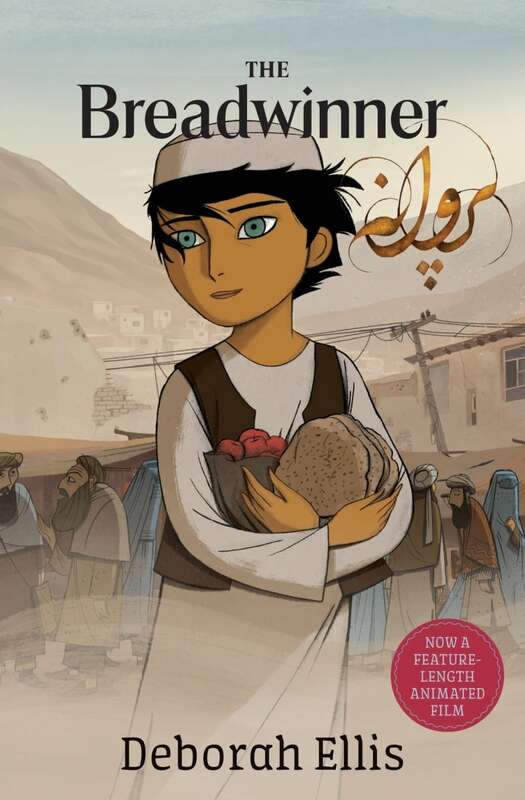 The Breadwinner tells the story of an 11-year-old Afghan girl who disguises herself as a boy to support her family after her father is arrested by the Taliban. When Canadian Saara Chaudry got the call to play Parvana, the young heroine at the centre of The Breadwinner, she was more than ready. Years ago she'd fallen in love with the young adult novel when a librarian had recommended the Deborah Ellis book. Chaudry had even exchanged emails with the Canadian author, met her at a school book reading and asked about a potential movie. Then, one day, she received a fateful call from her agent to audition for a film adaptation of The Breadwinner. "From then on, I really wanted to get the part and wanted to do justice to the character," Chaudry said. The Breadwinner, which premiered at the Toronto International Film Festival on Sunday, tells the story of an indomitable 11-year-old Afghan girl named Parvana. When her father is suddenly arrested in Kabul by the Taliban, Parvana dresses as a boy so she can work to support her family and venture out to discover if her father is still alive. The real story began in the late 1990s, when peace activist-turned-author Ellis grew concerned about the treatment of women under the Taliban regime. "I'm not an organizer. I'm not a good fundraiser. But I thought if I could go over there, collect some of their stories and find out who they are — how they deal with all of this, what they were living through, how they were reacting to it — that that might be useful," the Simcoe, Ont.-based writer told CBC News recently during an interview at her local library, where she goes daily to research and write. "By putting names and faces and stories to what was going on in Afghanistan, I thought maybe that might be of use. And the money from the book could raise some money." While there, Ellis learned of girls who disguised themselves as boys — who were permitted to leave the house unaccompanied under the oppressive rules of the Taliban regime — in order to support their families. After first publishing the non-fiction book Women of the Afghan War, further inspiration struck and Ellis created the fictional story of an undaunted girl she named Parvana. "She's a girl who is not at all interested in being heroic or strong or brave or anything," Ellis said. "But she rises to the circumstances that life throws at her." Since the publication of the original book in 2000, Ellis's tales of Parvana's persistence have inspired millions of readers and helped raise close to $2 million for Parvana's Fund, a charity to support education projects for Afghan women and children. The universality of Parvana's story is what attracted Hollywood star Angelina Jolie to the project. First, Canadian and Irish producers optioned the book to adapt it as an animated feature. Once a screenplay was completed, director Nora Twomey approached Jolie to serve as an executive producer, since the actor and director has had her own experiences in Afghanistan as a UNHCR goodwill ambassador promoting education for girls. "I really love this story because it's so much about family," Jolie said of The Breadwinner during a TIFF event Sunday evening, noting that she'd read the book with her children. In an earlier video statement, Jolie had described the story as "so powerful because it rings true for the situation of families wherever there is conflict or poverty or adversity." 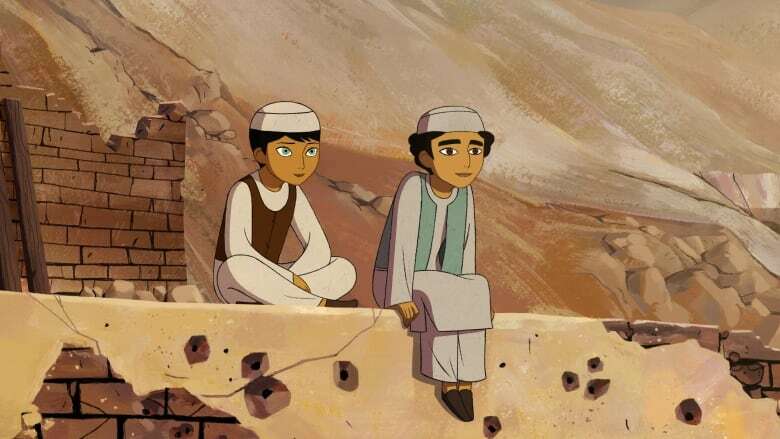 Though an animated film, The Breadwinner hits home for members of the movie's cast, like Kane Mahon, who left Afghanistan as a young man. When Mahon first saw the film, he was struck by images of rusted-out Soviet tanks that pockmark the landscape and knew the story was in good hands. It's details like that, he said, which separate this film from others depicting his homeland. Mahon praised the "authenticity and respect to the local culture, while not following any political agenda, because The Breadwinner does not express any political opinion. It's just a story of one human being and her family." The Breadwinner isn't the only TIFF movie with a Canadian-Afghanistan connection. Similar to The Breadwinner, Afghan-born Vancouver director Tarique Qayumi's Black Kite focuses on the fortunes of a family trying to escape life under the Taliban. When he filmed Black Kite in Kabul in 2014, Qayumi's cast and crew dodged bullets in hallways and embassy bombings. What kept them going was the notion of using storytelling to give back what the Taliban had stolen. "Eighty per cent of [Afghanistan's] population is under 25," noted Qayumi, who had worked in Afghanistan as a journalist. "You have all these young people who grew up in a time when the Taliban were around and the Taliban washed away history." Young actor Chaudry also hopes The Breadwinner will be an inspiration: that girls everywhere believe they can be masters of their own fate. "Follow your heart and be true to yourself. Do what's best for you and always know you are in charge. It's your life." The Breadwinner opens in November. TIFF continues through Sept. 17.